The genius of Drafting Tables! 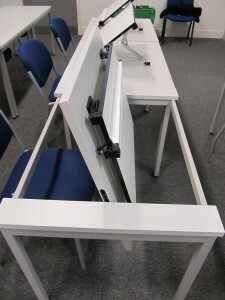 Is your classroom or studio limited in space? 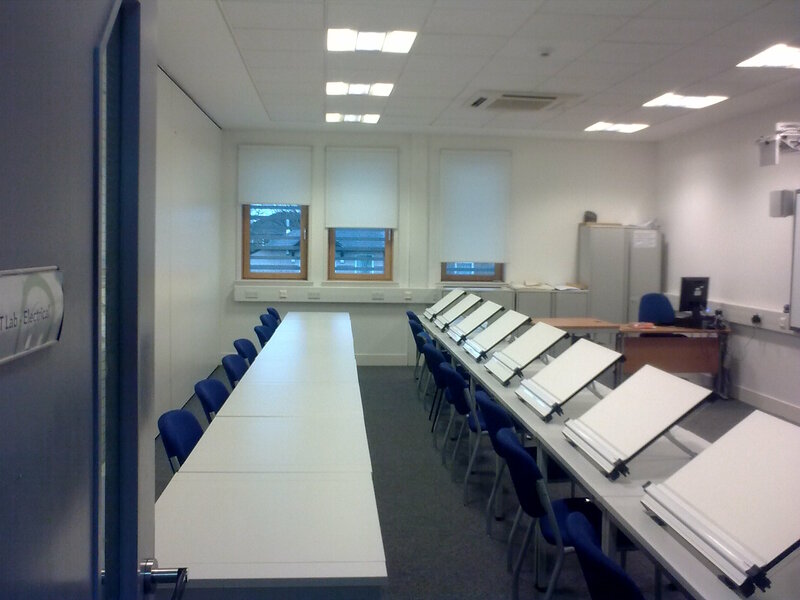 Are you catering for a number of subjects in the one classroom? Look no further than our Flip Top Drawing Board Tables! 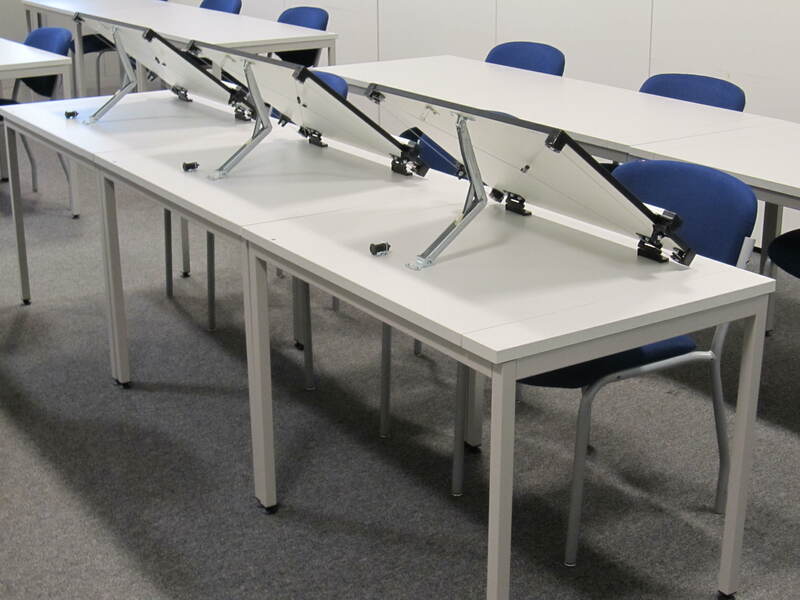 Featuring a vertically-rotating ‘flip’ top, they can be an ordinary table one minute and a high quality drafting table the next! 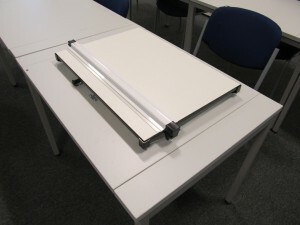 A must have for mixed subject classrooms. 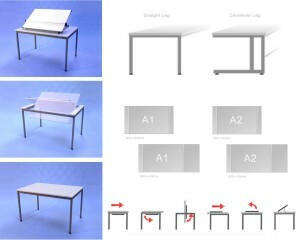 UK manufactured, these tables are specially designed for lasting durability. 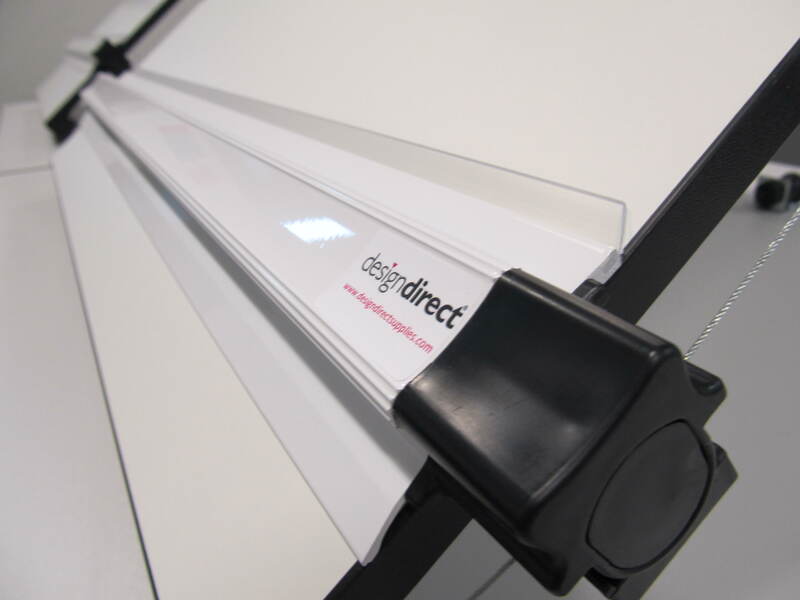 The drawing board features a reliable parallel motion unit and adjustable support, allowing you to achieve the most accurate technical drawings with maximum ease. Contact us today for a no obligation quote! Bespoke pricing and quantity discounts available. 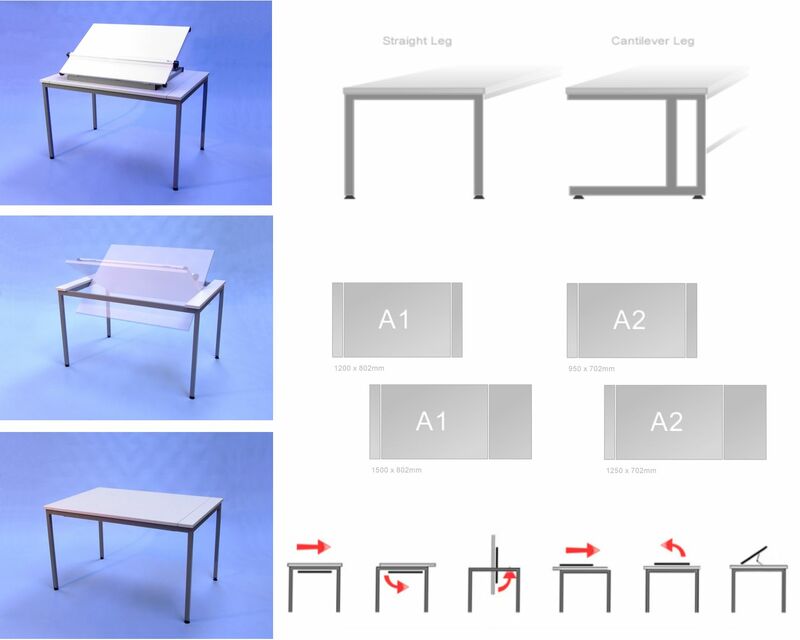 Available in A1 and A2, with options on Straight Leg Frame or Cantilever Frame.